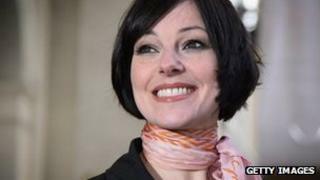 West End and Broadway actress Ruthie Henshall is returning to Suffolk to host a fundraising concert. Ruthie Henshall and Guests: Care for a Song 2011 is being held at the Ipswich Regent on Sunday. The show will include songs from musicals and will also feature local talent who auditioned to take part. Henshall said she wants the concert to highlight the "unsung heroes" at Suffolk Family Carers, who will receive the proceeds from the event. Henshall, 44, made her West End debut in Cats in 1987 and went on to start in hit musicals including Chicago, Les Miserables and She Loves Me, which earned her an Olivier award as best musical actress. She said: "You can expect the West End to come to the Regent. "We've got a packed show full of musical theatre numbers from Les Mis to Jesus Christ Superstar, Anything Goes, Crazy For You, Wicked - it's all in there. "We auditioned local people to be able to come and sing. "You would not believe the talent that showed up - I was genuinely shocked. Where is all this talent hiding in Suffolk?" Henshall, who still lives in Suffolk, is a patron of Suffolk Family Carers, which supports carers who in most cases look after a family member with an illness or disability. She said: "It's very dear to my heart because what they do there is unbelievable, it's such an amazing organisation. "They're the unsung heroes, we don't know about them because they're looking after the people they love - it's fallen on to them." Henshall has also featured on television, most recently alongside Larry David and Ricky Gervais in Curb Your Enthusiasm. "I had an absolute scream," she said. "It's hilarious, and one of the nicest casts. "Larry David and Susie Essman couldn't have been more welcoming and more wonderful and Ricky Gervais was a joy."